Last September the Denver Post reported on the growing need to find solutions to prevent wildfires that have become increasingly devastating. Not only are the fires causing huge economic losses for homeowners and insurance companies, they are a heavy burden on state taxpayers. Though insurance companies pay for the cost to rebuild homes, the state pays the cost to suppress fires and protect homes. 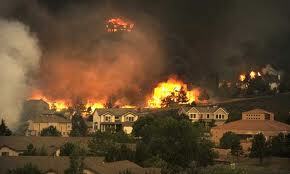 It’s estimated that Colorado spends about $1.8 billion each year fighting wildfires. While southeastern states generally don’t face the same wildfire threat as many western states, they do face threats concerning water use. Though the issues are different, the solutions are very much the same; water and fire do not respect political boundaries, so land use regulations that are entirely localized to individual jurisdictions are wholly inadequate. In Colorado, a quarter of the state’s population lives in so called “red zones,” those areas of the state with the highest fire risk. Many of these areas are also the more libertarian parts of the state meaning they may have few fire mitigation regulations or any type of restriction on development. A patchwork system of regulation where one county has restrictions and regulations designed to suppress wildfires and the next county over has no restrictions whatsoever is clearly problematic when addressing a destructive force that has no jurisdictional limitations. While Colorado has stopped well short of mandating sweeping restrictions, it has taken steps to encourage wildfire mitigation. A bill will soon be introduced to the legislature that will give families of seasonal wildfires $10,000 towards fire mitigation efforts. In addition to this, a committee approved the introduction of a bill that would strengthen the authority of counties to prohibit burning on agricultural fields during wildfire season. While these efforts are no where close to the establishment of a coordinated state-wide regulatory scheme, they are important first steps in battling a growing danger that knows no jurisdictional boundaries. Like wildfires, water is something that readily crosses county lines and is therefore subjected to the nuanced policies of local counties and municipalities. Everyone in Georgia, Florida, and Alabama is well aware of the fact that local policies have a significant impact on the availability and quality of water throughout the three-state region. 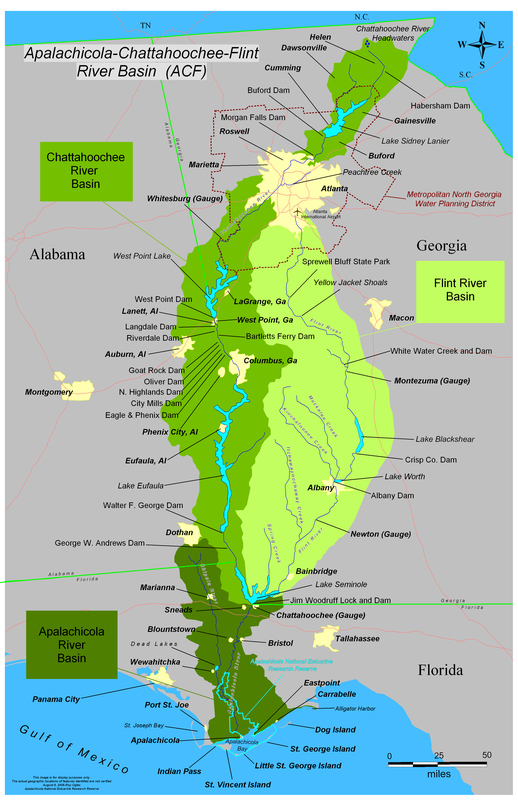 The debate surrounding water rights in the Apalachicola-Chattahoochee-Flint River Basin has spanned nearly thirty years and consistently prompts lawsuits between the states. A particular land use policy in east-central Alabama that negatively affects the Chattahoochee River could negatively affect the lives of those in northwest Florida. A policy that allows stormwater runoff to go unchecked could result in poor water quality downstream or a policy that allows unfettered development could result in less water downstream. As taxpayers in Colorado must bear the burden of protecting homeowners who built in “red zones,” taxpayers in Georgia, Florida and Alabama must bear the burden of bringing and defending against lawsuits over water use. They must also bear the burden of cleaning water that was polluted by those in a different jurisdiction in order to have an adequate drinking supply. While Colorado is just getting around to addressing this problem, Georgia and Florida have somewhat intricate plans to address the need to cooperate for the good of everyone, though more must be done. At the most basic level, Georgia has certain land use standards that must be followed by all local jurisdictions. They aren’t strict, but at least they’re something. Without getting into too much detail, all local jurisdictions, when promulgating their zoning and land use plans, must identify certain existing river corridors and create protection plans for those corridors. Among other things, the plans must take into consideration how land use will affect the quality and quantity of the rivers. At the very least, this requires jurisdictions to just consider water protection when thinking about land development. Another standard, a more restrictive standard, prohibits certain development on government-owned land within a watershed. This only applies to government-owned land, but it’s a strong statement about water protection nonetheless. 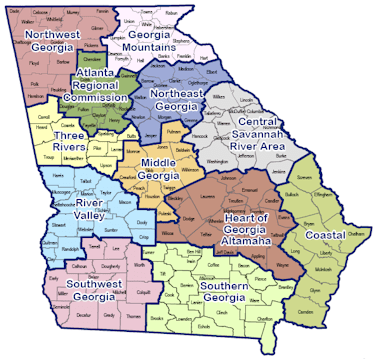 Georgia is further divided into regional commissions that review local plans to make sure they satisfy minimum state-wide standards and to facilitate cooperation. It’s up to the individual commissions to set further standards based on the demands or desires of the particular region. The major flaw with this is that each commission is only mandated to care about its own region. Theoretically, each commission can set standards to require local plans to comport with the plans of jurisdictions in other regions, but this of course is voluntary and doesn’t really occur. 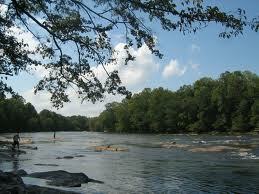 In addition to regional commissions, Metro Atlanta has the North Georgia Water Management District that sets land use regulations for the area to help preserve water quality and quantity. Again, this is great for the particular region, but the District doesn’t reach conclusions based on what would be good for the entire three-state region. Florida is basically set-up in the same way, but it lacks any minimum statewide land-use standards. While Georgia’s regional commissions and the North Georgia Water Management District generally only consider the demands within each of those jurisdictions, they at least have to comply with state-wide land use regulations; this isn’t the case in Florida. Even if Florida did have state-wide standards, they probably wouldn’t take into consideration the water needs of Georgia. So this is clearly an opportunity for inter-regional and inter-state cooperation. While Florida and Georgia have developed land use schemes, Alabama apparently hasn’t touched this subject in what seems like hundreds of years. There are no minimum standards, no mandated regional commission, and no mandated water management districts. Generally, any water district that could be created must be approved by local land owners. Obviously the major problem is that no one wants to consider how their behavior affects people in other states or other regions of the same state, so Alabama’s tactic of letting local land owners choose is certainly not good for the region. Georgia and Florida (and now Colorado) realized they needed state-wide initiatives to combat this problem; Alabama hasn’t quite figured this out yet. The framework is here, but more must be done. Alabama is working on a new comprehensive water plan to bring the state into the realm of Georgia and Florida (and, if they get sued, to show that they are acting in good-faith and are attempting to cooperate over water use). While this is good, it will just result in three states with three different policies. We all need water and there is obviously a limited supply. At the very least, each state could consider the policies of the other states when formulating plans. At the the very most, we could create some type of three-state commission to manage land use and water rights. Nevada and California did this way back in 1969 when they created the Tahoe Regional Planning Agency. In an unprecedented move, the Agency was given zoning and regulatory authority in the region as a means of protecting the pristine nature of the lake. 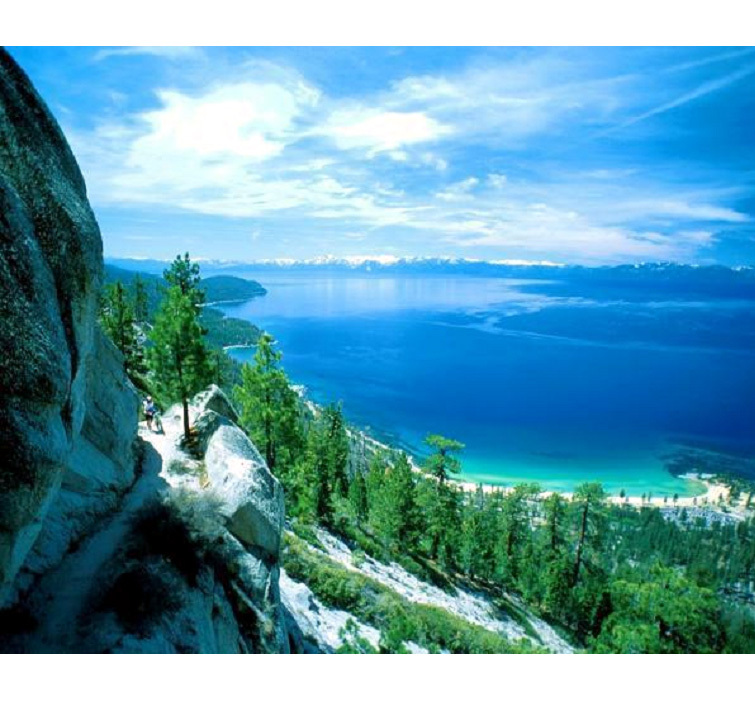 That’s two politically-dissimilar states coming together to realize the necessity of protecting a resource that is not just beautiful, but one that provides a huge economic gain for local businesses. Colorado is quickly realizing that the lack of regional conformity is causing a great deal of damage. The same can be said here in the southeast. We have already done some great things to address the problem, but much more is needed. We could wait for the Supreme Court to make some type of ruling on water use in the region, but this will only open the door for more lawsuits and bitter feelings. Until we have some type of regional agreement, where we either pay attention to the policies of other states or we grant a third-party some regulatory rights, we will continue to waste money on lawsuits and the clean-up costs that result from poor localized policies.